We don't recommend you do a whole lot of sightseeing while you're on the retreat. Those are things that you can save for before or after your weekend with us. If you do decide to venture out during your free time, here a a few relaxing things to do in town. Take a walk or ride a bike along the Mekhong and Nam Khan rivers and have a seat at one of the cafes to have a fruit shake or smoothie. 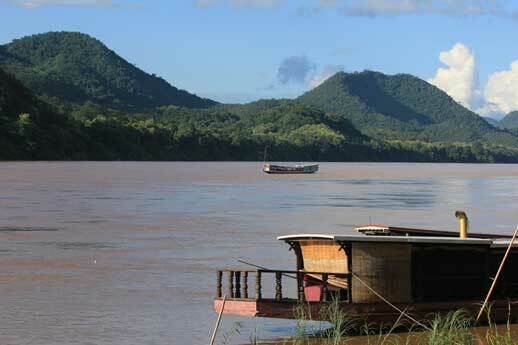 The Mekhong Fish cafe has nice comfortable couches overlooking the river to lounge on as do a couple of establishments along the Nam Khan river. Make your way to the tip of the peninsula where the two rivers meet and enjoy the view. 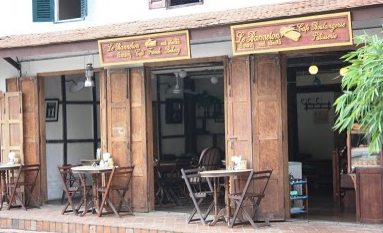 You might consider spending a piece of your afternoon at one of Luang Prabang's French cafes, boasting some of the best breads and pastries in Southeast Asia. At Le Banneton or Cafe Ban Vat Sene, read a newspaper over a coffee and croissant. Writers and journalists are often seen here working away at their next bestseller. 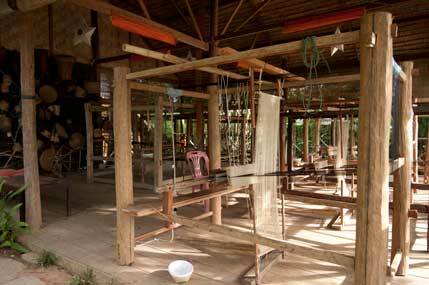 Take a short bike ride outside of town to Ock Pop Tok's Living Crafts Center where they offer short free tours of the textile process, all the way from the silk worms to the dying process and the weavers themselves. Then spend the afternoon at their cafe overlooking the Mekhong river and indulge in one of their delicious and healthy dishes. 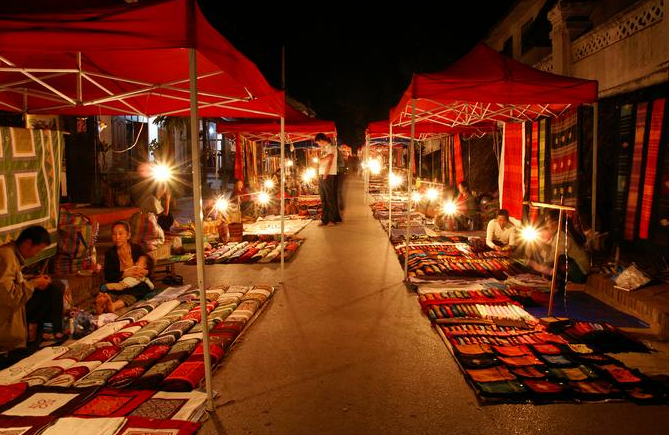 The night market in Luang Prabang begins around 5pm and goes on until about 10pm every night. It has been described as one of the calmest markets in Southeast Asia. Here you'll find rows and rows of paintings, lanterns, t-shirts and a whole lot of other trinkets to take home with you. Unlike other markets in Asia however, it's a low stress experience. Vendors do not insist that you purchase their products and bargaining is a friendly exchange. Don't forget to make it back in time for your spa appointment!